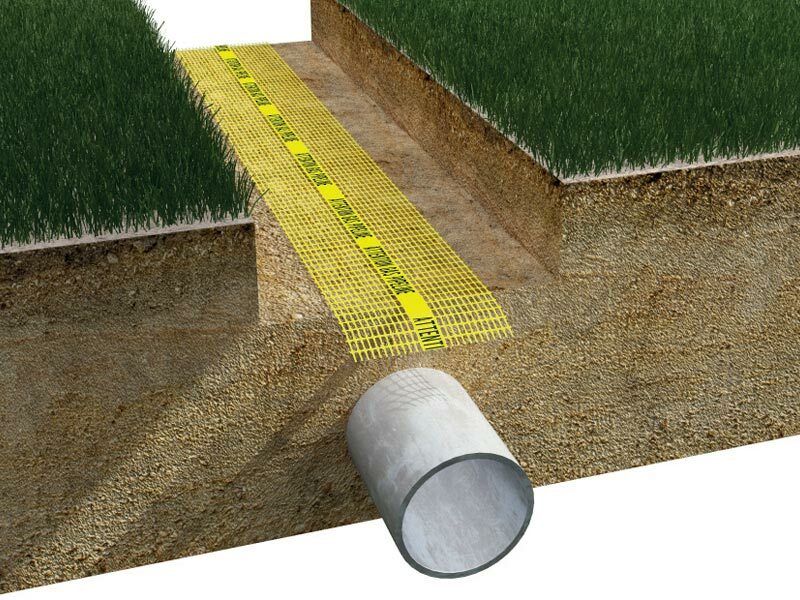 Extruded polypropylene (PP) net with a rectangular mesh for warning of the presence of underground pipes. 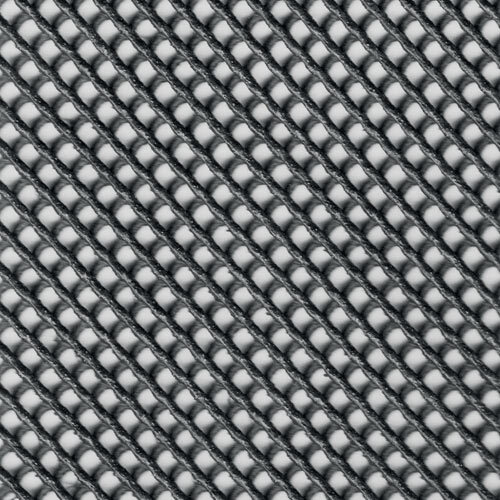 It undergoes a stretching process during production which provides the product with high tensile strength. 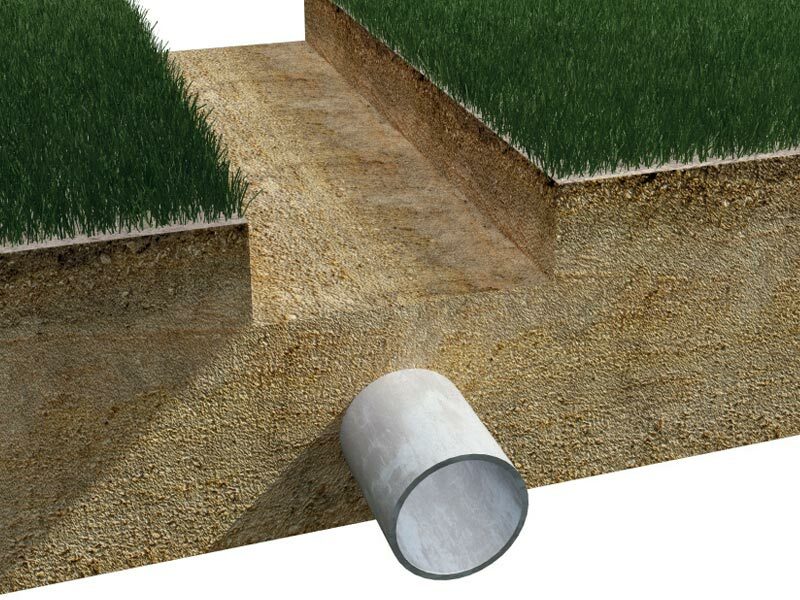 Tenax SIGNAL EN nets have been designed for warning of the presence of underground pipes in many applications. They are also available in versions equipped with a band with a message printed indelibly to identify the type of system. “Caution – Water Pipe Below” is written on the blue version, “Caution – Gas Pipe Below” is written on the yellow version and “Caution – Electric Cable Below” is written on the red version. SIGNAL EN is compliant with the EN 12613 regulation. 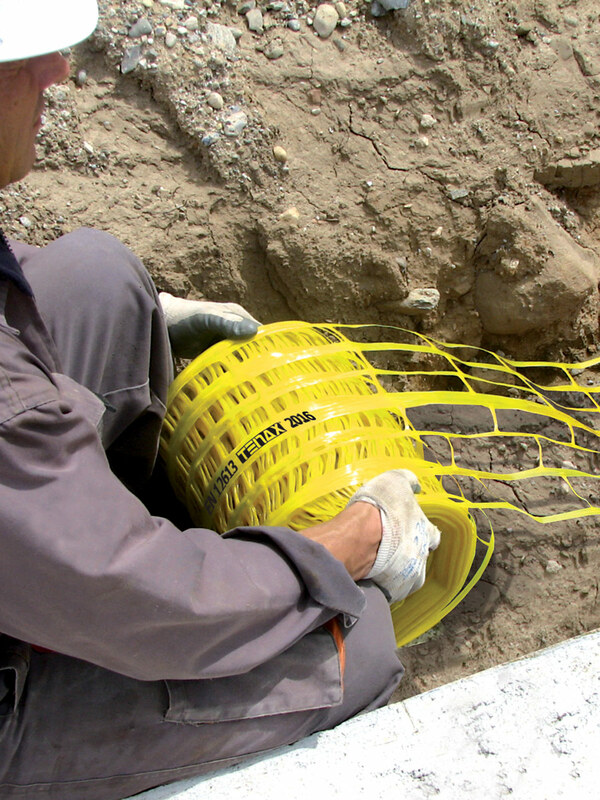 This regulation specifies the requirements of warning devices used for manual or mechanical underground installation of cables and tubes such as electric cables and tubes for fluids both under pressure or not. 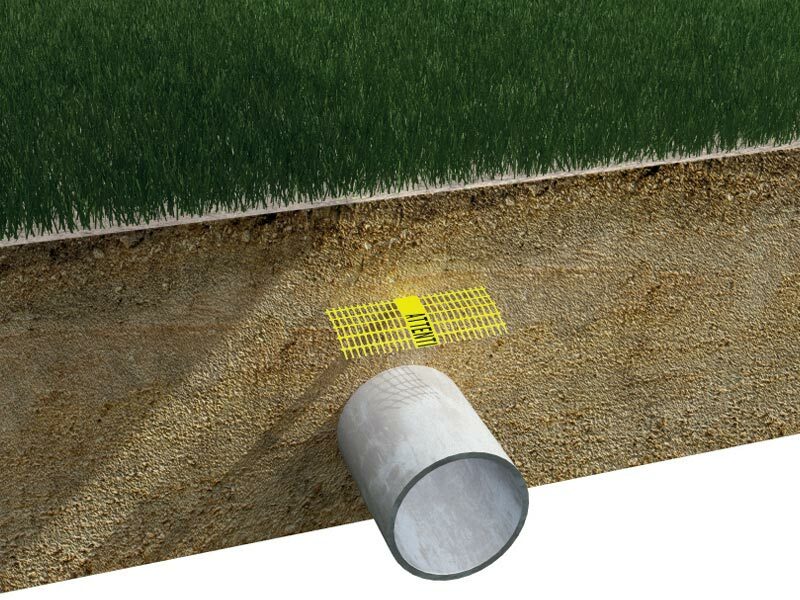 These warning devices have three functions: they warn of the presence of a pipe or a cable when a trench is opened, they show its direction and identify the protected equipment. Warning of the presence of underground pipes both for road applications (gas, water and electric mains) and in building sites (public and private areas).